Bio Diesel is a flower booster specially formulated for the use in hydroponics. 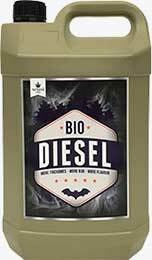 Made from a special blend of bat guano naturally high in phosphorous, combined with complex B vitamins and amino acids, Bio Diesel is a powerful Bloom Fuel for plants. a full range of B vitamins for faster growth rates and increased stress resistance. Add Bio-Diesel to the nutrient solution at 2ml per litre. Continue to use with every watering until the end of the third week. Add Bio-Diesel to the nutrient solution at 5ml per litre. Continue to use at this strength until the end of the 6th week. Stop using Bio-Diesel with 1 - 2 weeks to go to allow the plants to properly ripen before harvest.